This topic contains 38 replies, has 7 voices, and was last updated by JR19759 3 years ago. Nephthys was the Goddess of death & service. She is the daughter of Nut and Geb. Nephthys was typically paired with her sister Isis in funerary rites because of their role as protectors of the mummy and the god Osiris and as the sister-wife of Set. Nephthys plays an important role in the Osirian myth-cycle. It is Nephthys who assists Isis in gathering and mourning the dismembered portions of the body of Osiris, after his murder by the envious Set. Nephthys also serves as the nursemaid and watchful guardian of the infant Horus. Nephthys is also the mother of Anubis. As the air, Shu was considered to be cooling, and thus calming, influence, and pacifier. Due to the association with air, calm, and thus Ma’at (truth, justice and order), Shu was portrayed in art as wearing an ostrich feather. Shu was seen with between one and four feathers. The ostrich feather was symbolic of light and emptiness. Fog and clouds were also Shu’s elements and they were often called his bones. Because of his position between the sky and earth, he was also known as the wind. 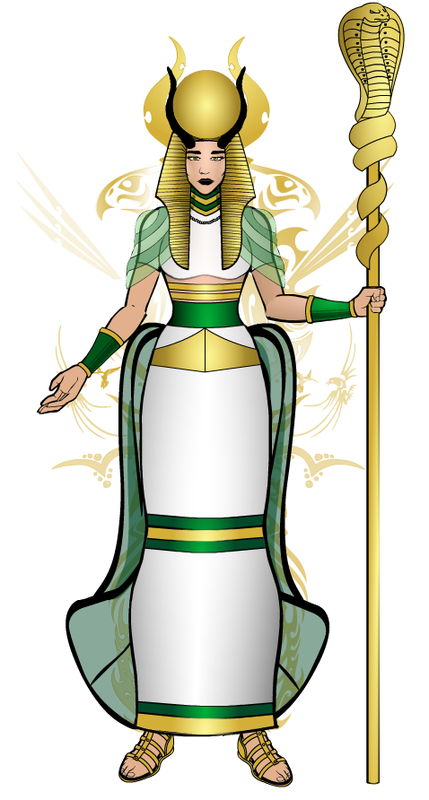 She was the first daughter of Ra and his second child, she is married to her brother Shu and has two children with him Nut & Geb. When Tefnut is pictured as a lioness she looks very similar to her sister Sekhmet she can be distinguished from her by looking at the ears, Tefnut’s ears are more pointed where Sekhmet’s is more rounded. Tefnut is a leonine deity, and appears as human with a lioness head when depicted as part of the Great Ennead of Heliopolis. The other frequent depiction is as a lioness, but Tefnut can also be depicted as fully human. In her fully or semi anthropomorphic form. I made Tefnut in both her forms, which one do you think is best ? It was believed in ancient Egypt that Geb’s laughter were earthquakes and that he allowed crops to grow. Note : I have changed Geb’s image more so than the others because in most pictures of him like the one below he is laying across the ground staring up at Nut, I found this hard to do so changed it to him standing upright. The annual flooding of the Nile occasionally was said to be the Arrival of Hapi. Since this flooding provided fertile soil in an area that was otherwise desert. Due to his fertile nature he was sometimes considered the “father of the gods”, and was considered to be a caring father who helped to maintain the balance of the cosmos, the world or universe regarded as an orderly, harmonious system. He was thought to live within a cavern at the supposed source of the Nile near Aswan. 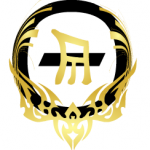 His name reflects the fact that the Moon (referred to as Iah in Egyptian) travels across the night sky, for it means “traveller”, and also had the titles “Embracer”, “Pathfinder”, and “Defender”, as he was thought to watch overnight travelers. As the god of light in the night, Khonsu was invoked to protect against wild animals, increase male virility, and aid with healing. It was said that when Khonsu caused the crescent moon to shine, women conceived, cattle became fertile, and all nostrils and every throat was filled with fresh air. Isis was worshipped as the ideal mother and wife as well as the patroness of nature and magic. 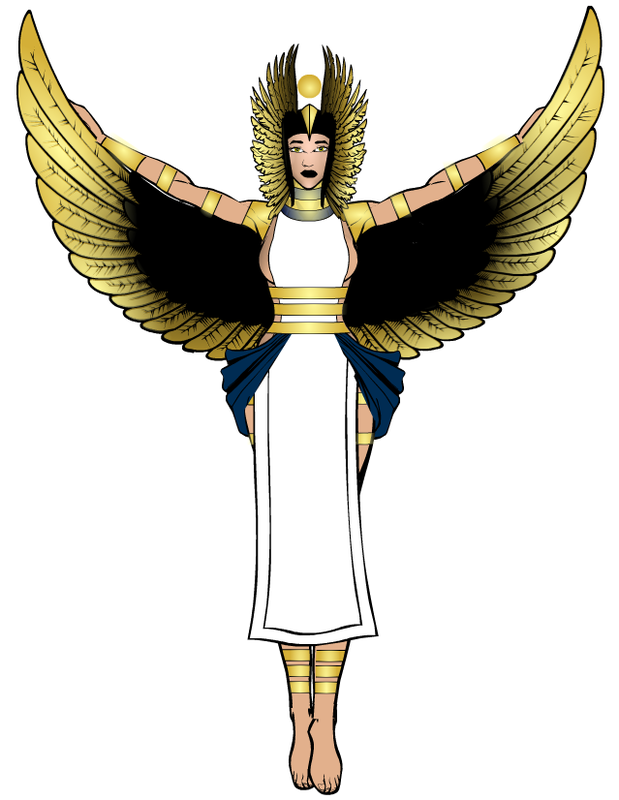 She was the friend of slaves, sinners, artisans and the downtrodden, but she also listened to the prayers of the wealthy, maidens, aristocrats and rulers.Isis is often depicted as the mother of Horus, the falcon-headed deity associated with king and kingship. You did a wonderfull job on the Hathor update. I like both old and new versions. My favorite, however, has to be Isis. Keep up the great work! Nice shading on these last two ones. It really brings the designs to life. The outfits are also nice, and the black on Isis’s wings is really eye-catching. You’ve made some great progress, keep it up!